Housework piles up FAST if you don't have a system for streamlining and maintaining it all. These tried-and-true household hacks come from the best homemakers on the web, and include 31 genius ways to make your home run like a well-oiled machine! I'm a firm believer that if you fail to plan, you plan to fail, and this has never been more true when it comes to managing a home. There's cleaning, laundry, making meals, more laundry, picking up, and even more laundry. Did I mention how much laundry there is? I think you get the point. There's just so much to do! I wish I could say I had the perfect solution to every homemaking problem ever, but I'm still learning to keep my own busy lifestyle and schedule under control. Much of what I have learned, though, has been from my favorite books and blogs. There are some really talented ladies out there—many of whom I've been fortunate enough to meet! 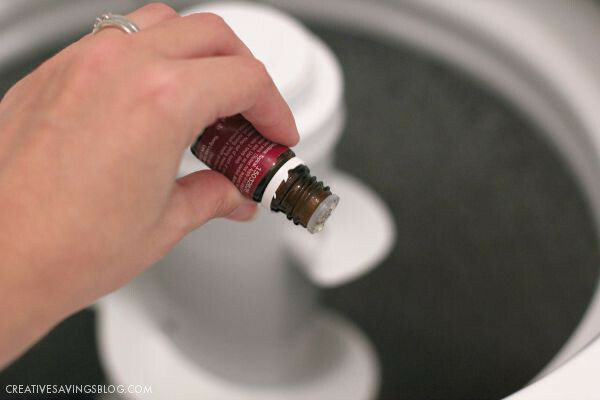 These 31 household hacks include the most clever ideas I've picked up over the years. I guarantee ALL will help your home run like a well-oiled machine, and are pretty much pure genius! 2. Print all your favorite recipes and put them in a single binder. No more searching for your family favorites. Here's how I do this! 3. Fill your dirty blender with warm water and a squirt of dish soap. Turn on and let run until residue is clear. 7. Wash one window a week. It's much more manageable to do it this way rather than all at once. Plus, you'll always have squeaky clean windows! 10. Institute a 15-minute pickup every day. This keeps counters clear and rooms looking tidy. 12. Soak a sponge in water and place it in your microwave for 1 minute on HIGH. The moisture from the sponge softens residue inside so it's easier to clean. 13. Keep paper plates on hand to give yourself a break. No one says you have to wash dishes ALL the time! 15. 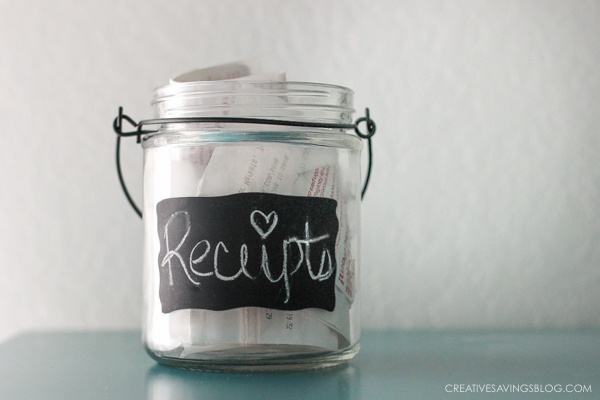 Place receipts immediately into a clear jar when you get back from the store. Then process on a specific day each week. 17. Use plastic dollar store caddies in the fridge and freezer to keep things organized. I like to corral cheese and chocolate chips in the fridge, and frozen fruit packages in the freezer. 20. Buy chicken in bulk and cook. Freeze in clear, ziplock bags to use in casseroles. 21. File your t-shirts vertically to save drawer space. Bonus, you'll also see everything you own at a glance. 23. Get the stink out of your clothes by using a few drops of Purification essential oil in the wash. It neutralizes the odor and leaves clothes smelling fresh! 24. Temptation bundle the mundane tasks with things you like to do, so they're not as daunting. For example, listen to podcasts or watch HGTV while you clean or fold laundry. 25. Keep a Spice Inventory Sheet to keep track of all your spices. This saves you from rummaging around in the cabinet or spice drawer looking for ones you don't currently have on hand. 26. Use an app like Todoist to remind you of recurring tasks that are easily forgettable. Examples are household maintenance, car maintenance, and monthly cleaning tasks. 29. Clean your blinds easily and effectively with a sock. Just slip one onto your hand and then dip it into a solution of 50/50 water and white vinegar to wipe blinds. 30. Keep power cords organized by stuffing inside empty toilet paper tubes. Get fancy and decorate with washi tape! Whew! So many good ideas to get your home in order…and help keep it that way! How to Get Mildew Smell Out of Clothes – a super easy trick! 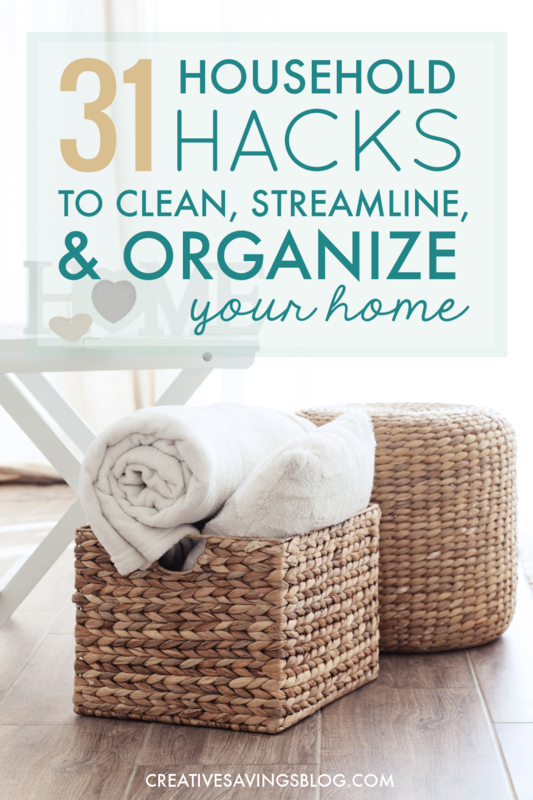 BONUS: Here is another round-up post with more than 50 Home Cleaning Tips and Hacks. 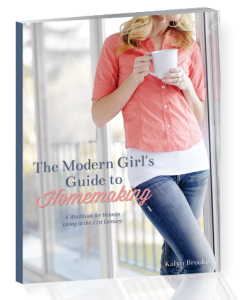 I also wrote a workbook called, The Modern Girl’s Guide to Homemaking, which shows you how to run a successful home in the 21st century. 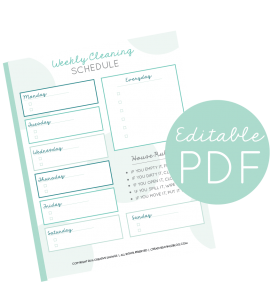 It’s the resource I WISH I had when I first learned how to manage a home! Did you learn any new-to-you hacks? What's your favorite tip to streamline and organize your home? I already (attempt to) do most of these on the list. However, the one that hit me like a ton of “duh”s was to write TASKS down not PROJECTS. It may just be a mind trick but seems less daunting. It’s funny how sometimes just a simple change in perspective can make a huge difference. Oh, oh, oh… I do the first 3 tips! The rest were so inspiring! A window a week — why hadn’t I thought of that?! I hate window washing. That would certainly take the edge off wouldn’t it?! 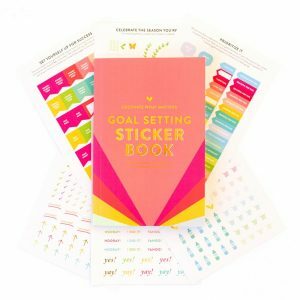 Such an awesome list of tips and now I have to check out your book (since I already have a bundle)! These tips are amazing and super helpful! One thing I do every weekend to keep my own clean is to focus on one area and really clean it well. Last weekend was the bathroom sink and the week before that was the coat closet. Giving myself one area of the house to work on often motivates me to want to do more. But when you have just one small area to focus on it makes cleaning and organizing a breeze! I really need to do the whole laundry timer thing though, that’s a great tip. That’s a great idea, Lindsey! Breaks daunting cleaning routines down even a step further. I love the “wash one window a week” tip! I have less windows to deal with now that we live in our Airstream, but they get dirty quick! Maybe I’ll do 2 a week on separate days and that way I’ll hit all of them once a month. Brilliant! Thanks! One nice thing about living in an apartment while I repay my student loan debt from law school is that the space is small, which means cleaning doesn’t take that much time! I think if I’m financially able to in the future, I will outsource some of the cleaning in my future home (at least, ideally)!